3 Bedroom Terraced House For Sale in Witham for Offers Over £290,000. 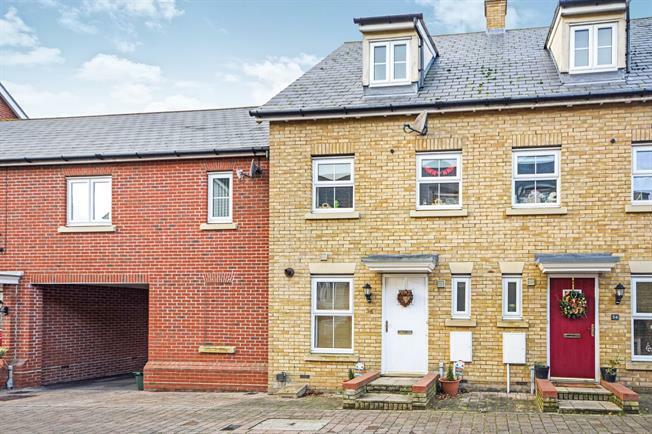 A well presented three bedroom townhouse located within a short drive to the A12 and within close proximity the the popular Chipping Hill primary school. The property benefits from a fitted kitchen, lounge with french doors to the garden, ground floor wc, three double bedrooms with the master bedroom having its own dressing room and en-suite. Garage and an allocated parking space. Offered with no onward chain.